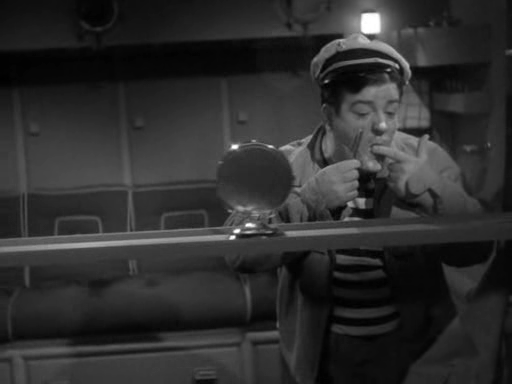 A pair of fugitive bus drivers (Bud Abbott and Lou Costello) accompany a yachtsman (Robert Paige) and his rival (Virginia Bruce) on a trip towards an uncharted South Seas island where a villain (Lionel Atwill) is searching for treasure. 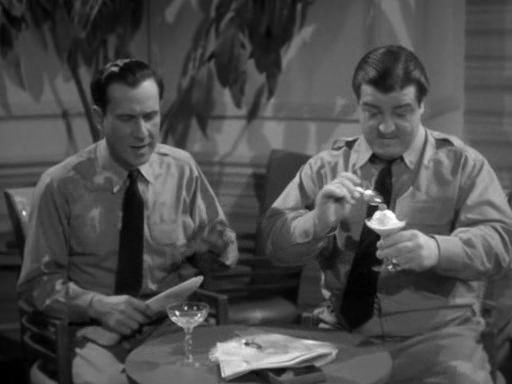 Pardon My Sarong was the second highest grossing film of 1942 (after Mrs. Miniver), indicating the enduring popularity of Abbott and Costello after their success the previous year in Buck Privates, Hold That Ghost, and In the Navy. Fortunately, …Sarong has held up reasonably well, thanks to a steady stream of enjoyable A&C routines scattered throughout its utterly ridiculous plot, which makes so little sense you’re better off ignoring it altogether (indeed, as Bosley Crowther noted in his review of …Sarong for the New York Times, “Plot is a normal convention which this picture manages to avoid”). Meant to capitalize on the success of Crosby and Hope’s “Road” pictures, …Sarong takes Bud and Lou on an adventure to an uncharted sound-stage island, where natives are dressed in outrageously fruity costumes, and Lou — naturally — is both pursued by a beautiful local (Nan Wynn) and mistaken for some kind of hero. 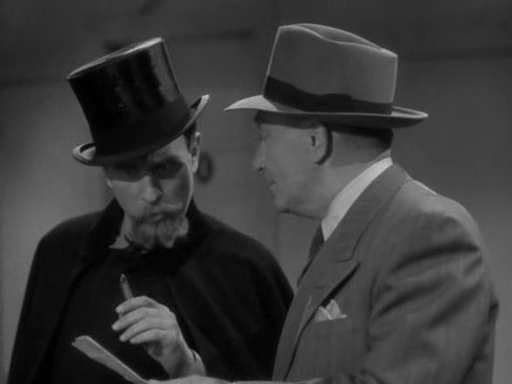 Only the final half of the movie takes place on the island, however; before this, Bud and Lou are given plenty of opportunities to engage in their usual shenanigans as they’re pursued by The Law (represented by the always delightful William Demarest) and find themselves on board a ridiculously tiny ship, where they quickly run out of food (leading to two of the film’s most infamous sequences — both involving Abbott treating his partner with more than even his usual level of disdain.) 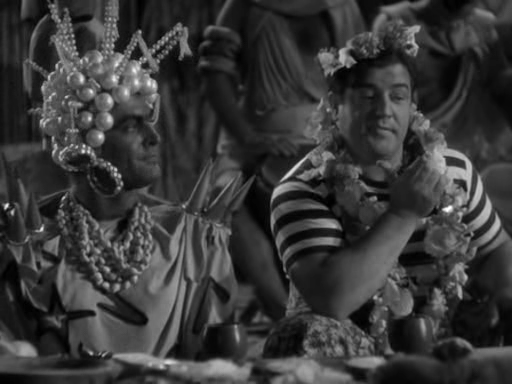 Pardon My Sarong isn’t Abbott and Costello’s best outing, but it’s full of enough enjoyable routines — and holds enough historical interest, given its enormous popularity — that I’m recommending it as a marginal “must-see” for film fanatics. Abbott: Why don’t you knock on the door? Costello: I don’t know… I just don’t give a rap anymore. 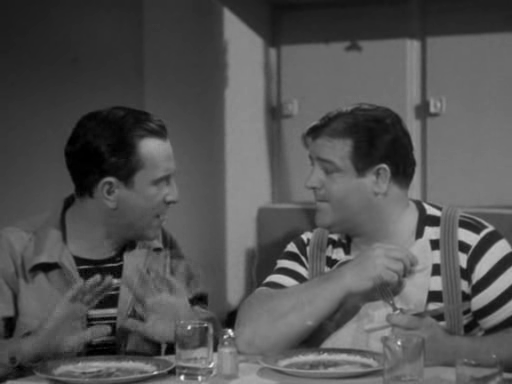 Yes, as one of Abbott and Costello’s most popular films. First viewing. I watched the whole thing. I can’t believe I watched the whole thing – but I watched the whole thing. Can’t find any real redeeming qualities here, sorry. Cripes, this is awful! Just about as tedious as A&C’s ‘Hold That Ghost’.